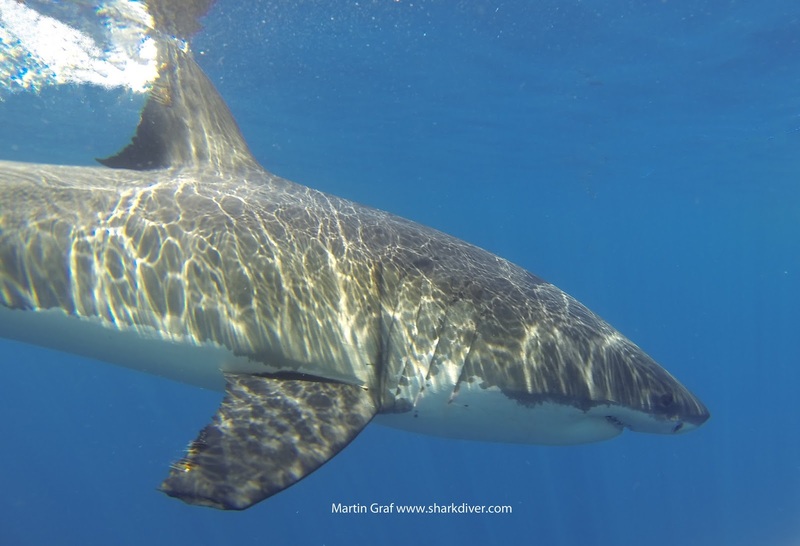 Shark Diver : Shark Diving : Swimming With Sharks: Fantastic start to our Guadalupe Great White Shark season! Fantastic start to our Guadalupe Great White Shark season! Brian Arnone having a blast. Our 2013 season at Guadalupe has been awesome so far. On our first 3 trips we saw a total of 18 different sharks we have seen in previous years, along with at least 5 new ones. We have also seen 10 complete breaches! Who says they only breach in South Africa?! Our divers are having a blast! Brian Arnone, a newly minted Shark Diver sent us a picture from his recent trip. On August 16th I spotted a shark that I didn't recognize, but looked strangely familiar. 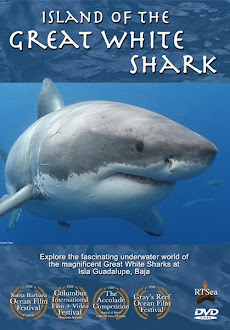 After looking through our Shark ID database I found out that it was #56 Quetzalcoatl who had not been seen since 2005. It's awesome to find a long lost friend, back at Isla Guadalupe! On August 25th we spotted #27 Squire, another shark that was absent for the last 3 years. Where have they been? We don't know. It always worries me, when one of our regulars, like Shredder last year, is missing. 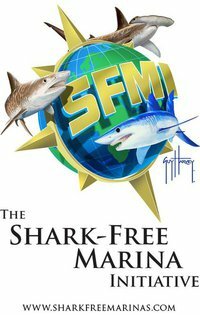 To find that some sharks are coming back after an absence of many years, gives me hope that he, along with many others are still out there and doing well. I hope you can join us on one of our expeditions and experience what if feels like when you come face to face with these magnificent creatures and have them look you straight into the eyes.